2018 was a record-breaking year in the UK for renewables, and Scottish Power have been breaking their own records too. In 2018 they became the first energy supplier to go completely fossil fuel free and use a renewable energy source to generate electricity. What was their renewable energy of choice? Wind power! Scottish Power also sold off its gas and hydro stations. There is now no going back for the energy firm who have set the standard for big companies switching to more sustainable resources. Currently, the company can power 1.2 million homes and plans to double that figure this year. While some non-green sources are still used to feed to the grid, this company is well on its way to a carbon free future! 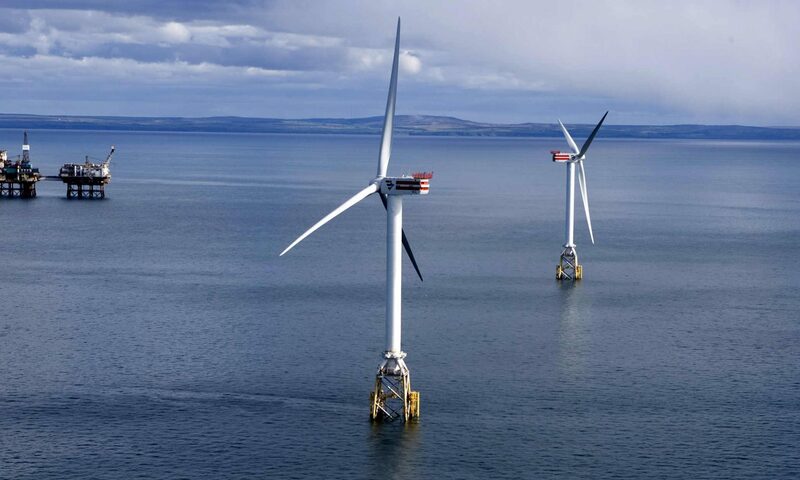 Other main suppliers include British Gas, EON, N Power, SSE and EDF energy, but Scottish power has been the first to make this kind of leap into renewable energy. There are, however, smaller suppliers that can offer totally renewable power. The company sold its gas stations to Drax for £702m. They plan on making these stations burn wood pellets instead of coal, and this means a big change for them in the year ahead. The UK’s plans involve phasing out coal stations completely by 2025. The burning of the wood pellets has been criticised recently, but there have been assurances that the pollution is within legal limits. The energy sector is experiencing big changes. It has realised that it will need to change as an industry in order to continue making money and producing the clean energy that the government and the public wants in the future. If other major companies decide to follow suit, then they could play a big part in the UK meeting their climate targets. While this is a positive step, we still have a long way to go before the UK is completely relying on renewables for the power that is required. Previous PostPrevious Is Gas Holding Back Heat Pumps in the UK?